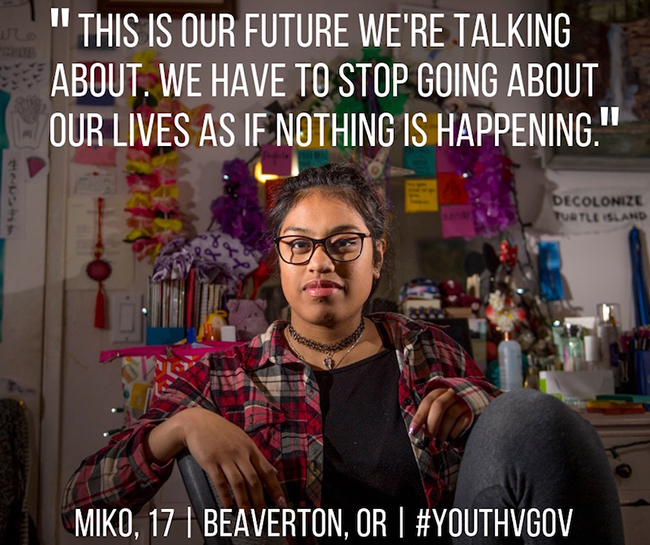 Our Climate Reality Leaders know all too well what the future could look like for today’s young people – and they’re taking action to mitigate the worst of it. Without a global shift to clean, renewable energy, today’s children and young adults will face a world none of us would wish for them. No young person would be blamed for feeling overwhelmed, frightened, and helpless looking ahead at that prospect – the prospect of a world with runaway climate change. And yet, here at Climate Reality, we see at every turn that the fight for action and the case for hope is being led by the youngest among us. Take, for example, the US federal court case Juliana v. United States. Back in 2015, a group of young people based in Oregon filed a constitutional climate lawsuit against the US government. 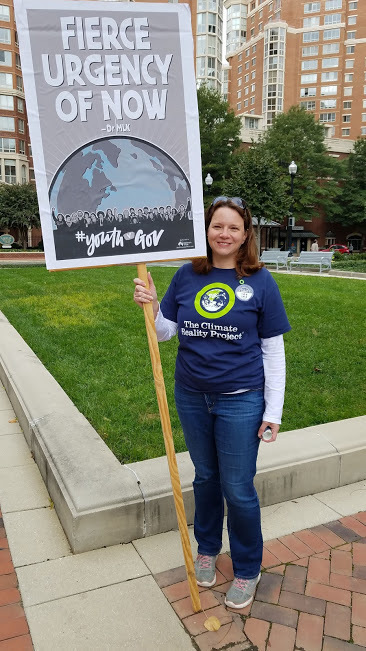 The young plaintiffs were assisted by the nonprofit Our Children’s Trust, which was formed by attorney Julia Olson after she became a mother, saw An Inconvenient Truth, and began to seriously consider the world we are leaving for future generations. Olson was inspired to start representing legal cases that charge the government with mitigating climate change under the public trust doctrine. We’re deeply humbled by the courage and tenacity shown by these young people – one of whom was just eight years old when the case began – as they’ve engaged in a drawn-out legal fight with the highest powers in the country. And we’re honored that five of those plaintiffs can call themselves Climate Reality Leaders. Nick Venner of Lakewood, Colorado was trained in Iowa in 2015. Isaac and Miko Vergun, of Beaverton, Oregon were trained in Seattle in 2017, as was Aji Piper of Seattle, Washington. And Xiutezcatl Tonatiuh M. has performed at Climate Reality events and contributed to 24 Hours of Reality. Not long after the case was filed back in 2015, it saw the first of what would become many attempts by the defendants to delay and stop it from going to trial. For two years – as the children grew, lived their lives, and in some cases, fought similar battles at subnational levels – Juliana v. US was held up by various motions and court orders. Eventually, in June 2017, a trial date was set for February 5 of this year. That triggered a series of increasingly vigorous attempts by the Trump Administration, deploying rarely used procedural tactics, to stop the case. Administration lawyers started by filing a petition for a writ of mandamus, essentially arguing that the case should have been dismissed for seeking “wholesale changes in federal government policy based on utterly unprecedented legal theories” and arguing that trial preparation would cause the government harm due to the volume of information it would be required to provide. The plaintiffs filed a response, oral arguments were heard, and though the writ of mandamus was unanimously rejected by the Ninth Circuit Court of Appeals, the trial date was put on hold – rescheduled for October 29, 2018. Over the course of the summer, the government tried several more procedural tactics to avoid trial, all of which were eventually rejected. The government moved on to the US Supreme Court, petitioning the highest court in the country for a stay to delay the trial – that request, as well, was denied, and the 21 young plaintiffs continued to look to October 29 as their pending day in court. 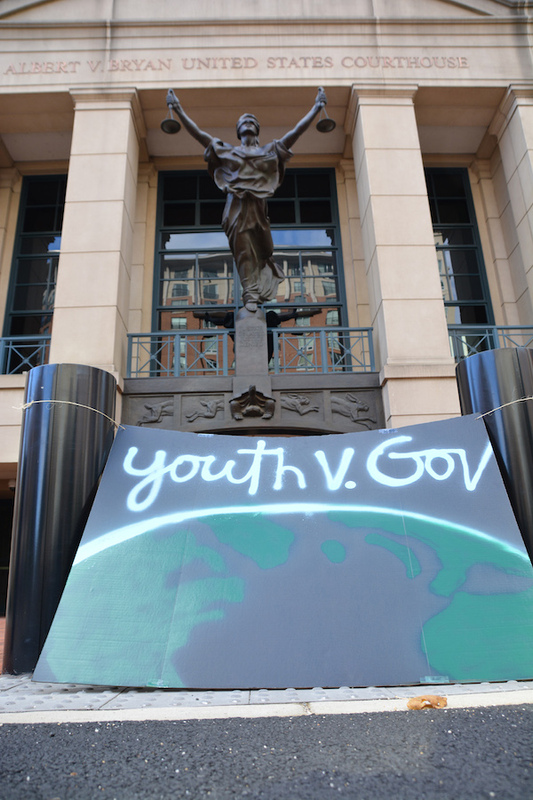 With the help of the YouthvGov campaign, concerned Americans planned big courthouse rallies across the country for October 29. But on October 18, just 11 days before trial, the Trump Administration again filed a writ of mandamus petition and application for stay asking to circumvent normal federal litigation procedures. The US Supreme Court ordered a temporary administrative stay to review the petition and the plaintiffs’ response. The plaintiffs filed that response promptly and requested that the case be allowed to proceed on October 29, pointing out the many mischaracterizations of the lawsuit by the Trump Administration. The October 29 date came and went. Then on November 2, the Supreme Court ruled that the case could move forward after all, and the plaintiffs filed a request with a district court in Oregon, asking for a hearing. The excitement was short-lived, however: Just six days later, on November 8, part of the Trump Administration’s request for a temporary stay was granted by the Ninth Circuit Court of Appeals. So while trial preparations are still going ahead following the Supreme Court’s decision, the young plaintiffs must respond to the new procedural ruling within 15 days. 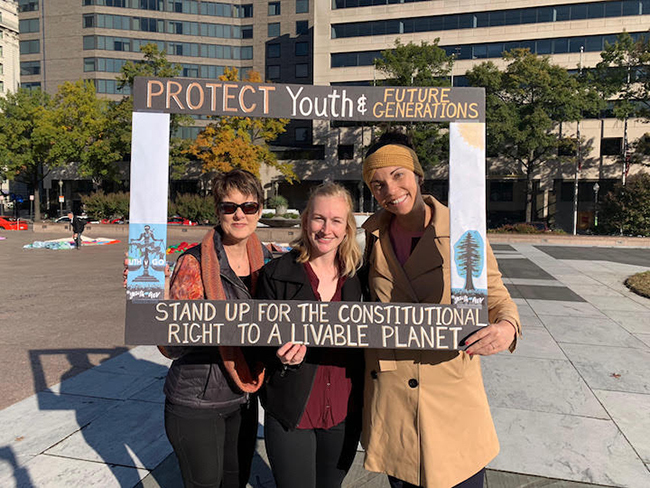 Climate Reality Leader and Chapter Chair Paula Clements, Climate Reality Solutions Associate Kelsey Anderson, and Climate Reality Engagement Director Olena Alec at a YouthvGov rally in Virginia on October 29. The case is part of a global trend in lawsuits alleging that governments have a responsibility to protect natural resources – including the atmosphere – for their people. 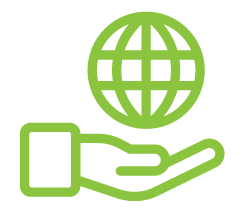 Both Norway and the Netherlands have had to adjust climate policies in response to public-trust based lawsuits, and a similar case is proceeding in Pakistan. Young Climate Reality Leaders have been involved in similar cases at both the federal and state levels across the US. They includes Alec Loorz, featured in this video, whose case ended in 2014, and Delaney Reynolds, whose case in the state of Florida is also facing delays due to extreme procedural tactics on the part of the government. Though we must wait to see how Juliana v. US will play out in court, we’re incredibly proud of the young people who are facing their future and choosing not to accept hopelessness as the only way forward. “If we win, the day that that ruling is handed down from the courts, it’ll create a feeling of relief and hope that is palpable, you will literally feel it like emanating off of me. And the reason for that is that I will have finally been heard, my generation will have been heard, and then change will start to happen.